Today, India is the second fastest growing economy in the world. The Indian construction industry is an integral part of the economy and a conduit for a substantial part of its development investment, is poised for growth on account of industrialization, urbanization, economic development and people’s rising expectations for improved quality of living. In India, construction is the second largest economic activity after agriculture. The Indian construction industry employs over 3 crore people and creates assets worth over Rs.20,000 crore. Here is a list of the big players of the Indian Construction Industry. 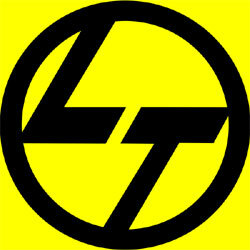 One of the leading Indian multinational conglomerate Larsen & Toubro Limited (L&T) was founded in 1938 in Mumbai, India, by two Danish Engineers Henning Holck-Larsen and Søren Kristian Toubro. L&T is the big player in the construction sector and is headquartered in Mumbai with a global spread of offices and factories. The major contributors to L&T’s share market is through ECC – Engineering, Construction & Contracts Division of L&T. L&T has expanded its focus to the Middle East, South East Asia, Russia, CIS, Mauritius, African and SAARC countries, also Africa and Latin America. The Group is currently chaired by A.M.Naik. DLF Limited is India’s most prominent real estate developer. The Group was founded in 1946 in New Delhi by Raghuvendra Singh. 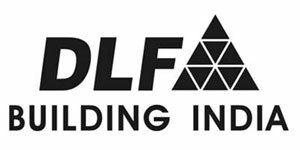 DLF is involved in construction of residential colonies, shopping malls, hotels, golf courses, offices and retail properties. The Group is currently chaired by Kushal Pla Singh. DLF has joint ventures with Laing O’Rourke, a UK-based construction company, Nakheel of Dubai, WSP Group Plc and DLF has also teamed up with Hilton Hotels to jointly develop hotels in India. Currently, DLF is sponsoring Indian Premiere League (IPL). Tata Projects is an Engineering, Procurement & Construction Contracting Company in the Engineering Sector of the Tata Group. It was established in 1979. Tata Projects is ISO 9001, 14001 & OHSAS 18001 certified. Tata Projects is spread across 3 Regional Offices, 76 Projects at 51 Locations, 15 Regional Inspection Offices & 3 Registered Overseas Offices. It currently has a network of more than 2000 employees. Operates through 7 sectors : Power Generation, Transmission & Distribution, Quality Services, Water & Waste Water, Oil, Gas & Hydrocarbon, Railways and Metals & Minerals. It is Ranked as the Fastest Growing Construction Company in India in 2011. Shapoorji Pallonji & Co. Ltd is a 147 year old Company currently chaired by Mr. Cyrus P Mistry, son of Pallonji Mistry. The annual revenues of the Company exceed US$ 2 billion. The Company has a staff of arounf 5500 people, making SPCL the construction tycoon. SPCL has imensely grown in the last 5 years and has developed new capabilities. Shapoorji Pallonji has built diverse civil and structural engineering masterpieces like factories, nuclear research establishments, nuclear waste handling establishments, scientific and research establishments, stadia and auditoria, airports, hotels, hospitals, giant skyscrapers, housing complexes, townships, water treatment plants, roads, expressways, power plants and biotech facilities. Lanco Infratech Limited is a leading Indian conglomerate maily focusing on construction and real estate. The Company was founded in 1986 by the Indian National Congress politician Rajagopal Lagadapati. It is headquartered in Gurgaon, NCR, India. The Company has about 7000 employees and has presence in Australia, China, Indonesia, London, Nepal, Singapore, United States of America, other than locations in 20 states in India. Presently, the market capitalisation of the company is approximately US$ 2.28 billion. LANCO is fast emerging as one of the top three private sector power developers in India. Jaiprakash Associates, The Jaypee Group is headquartered in Noida, India and is a Rs. 15,000 crore well diversified infrastructural industrial conglomerate in India.. It was founded in the year 1957 by Jaiprakash Gaur, who currently heads the Group. The Group is involved with business interests in Engineering & Construction, Power, Cement, Real Estate, Hospitality, Expressways, Sports & Education. Jaypee Group owns Jaypee Institute of Information Technology at Noida and Jaypee Hotel Training Centre at Agra. 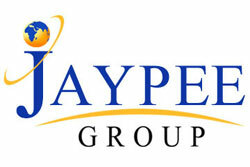 Jayepee Group is the 3rd largest cement producer in India. Punj Lloyd is a leading construction company of India providing integrated design, procurement and project management services for energy and infrastructure sector projects. The Company was founded in 1988 as Punj Lloyd Engineering Private Limited. Punj Lloyd is home to over 26,000 employees from over 37 nationalities. Punj Lloyd operations are located in the Middle East, the Caspian, the Asia Pacific, the Europe, Africa and South Asia. Punj Lloyd is headquartered in Chennai, India and has a turnover of USD 2.4 billion. Hindustan Construction Company was founded in the year 1926 and is headquartered in Mumbai, India. It is one fot he leading Construction Groups of India growing at a rapid rate. HCC works in various sectors including transportation, power, marine, oil and gas pipeline construction, irrigation, utilities and urban infrastructure. HCC specializes in large-scale civil engineering, and developing construction technologies. HCC was the first Company in India to be certified for ISO 9001, ISO 14001 and OHSAS 18001. The Company is currently chaired by Mr. Ajit Gulabchand. 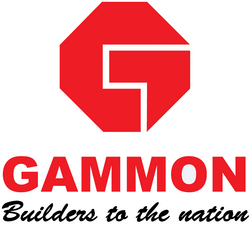 Gammon India Limited is one of the most prominent and largest Construction Company in India. It is a construction and civil enginnering Company founded in 1922 by John C. Gammon. The Company has its headquarters in Mumbai, India. Gammon India has done some noticeable projects in the country which include Foundations of the Gateway of India, India’s first cable-stayed bridge at Akkar, Sikkim, The longest Railway Tunnel in Asia for Konkan Railway at Ratnagiri, Maharashtra, Terminal building for Sharjah International Airport, UAE and Elevated viaducts for Delhi Metro Rail Corporation. 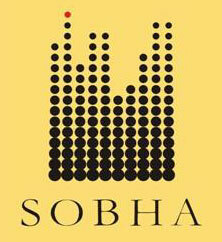 Sobha Developers Limited was founded by Mr. PNC Menon. the Company employees around 2000 people and is headquartered in Bangalore, Karnataka. The company is primarily focused on residential and contractual projects in the realty sector. The company’s residential projects include presidential apartments, villas, row houses, super luxury apartments, luxury apartments, standard apartments, and plotted development along with amenities such as a clubhouse, swimming pool, and shopping complex. Sobha has constructed a variety of structures for the corporate world. These projects include corporate offices, convention centers, software development blocks, multiplex theatres, hostel facilities, guest houses, food courts, restaurants, research centers, and club houses. Other popular Construction Companies of India are Simplex Constructions, IVRCL, Unitech Group, Nagarjuna Construction Company, GMR Group.